The Carlson Large Portable Dog Cot is a multi-functional cot style bed for the pet who needs a safe, comfortable place to rest. 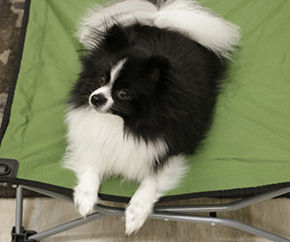 The foldable dog cot is essential for home, travel, picnics, and camping. Made of an all-steel construction, the versatile portable cot is built with durability, safety, and convenience in mind. Sturdy canvas material lines the cot, reinforcing the edges for added security and comfort. The Carlson Large Portable Dog Cot is made entirely of steel to handle the everyday use of your pet. Made from a sturdy canvas material, the bed liner includes reinforced stitching for added security. Whether your dog is at home, at doggie day care, in a hotel room, spending time at the park or camping for the weekend, the Carlson Portable Dog Cot is perfect for indoor or outdoor use. Because we know dogs have a tendency to make a mess, the cot is made from heavy-duty, waterproof nylon. The liner cleans up quickly with a damp cloth and soap to keep the bed clean and sanitary. 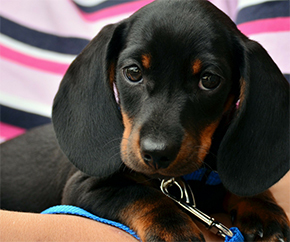 The Carlson Large Portable Dog Cot is backed by a manufacturer’s limited 90-day warranty. 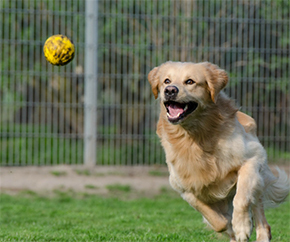 Carlson’s products are designed specifically for your pet and suit all breeds and lifestyles.